Need something at the foot of your bed? Check. How about a piece to anchor your entryway? Check. 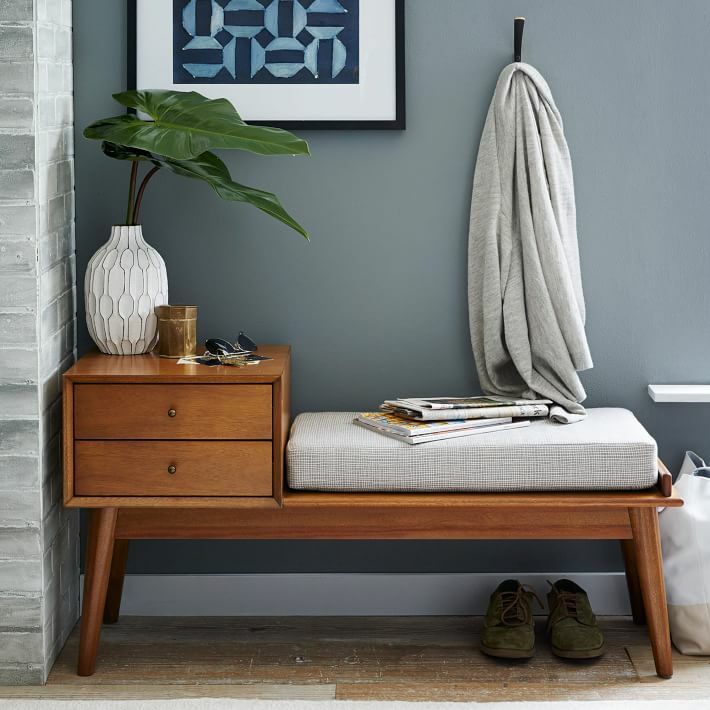 This Midcentury Storage Bench from West Elm might be just what you need. Whether you’re using it to put on your shoes for the day or dropping your sunglasses on it when you get home, the timeless look of this bench fits pretty much everywhere. Forget all the bells and whistles. 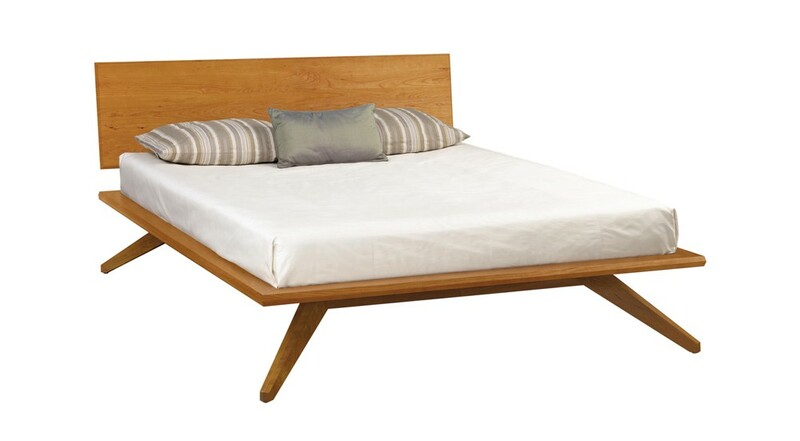 This Magnolia Platform Bed from Dot & Bo might just be the only bed for the minimalist modernist. Pair it with an equally minimalist color palette of white and an accent color and you’ve got a bedroom worth dreaming in! 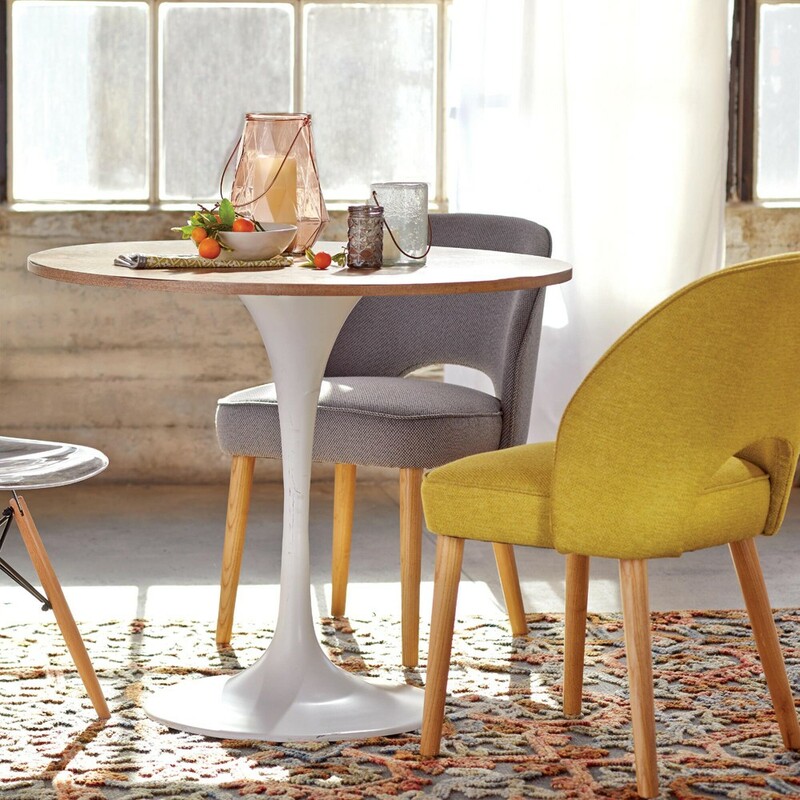 With a classic fluted table shape and trendy oak-finished top, this Wood and White Metal Leilani Tulip Dining Table might be the perfect midcentury hybrid to get that wood furniture fix in your home.